Sharing Saturday is still open!! 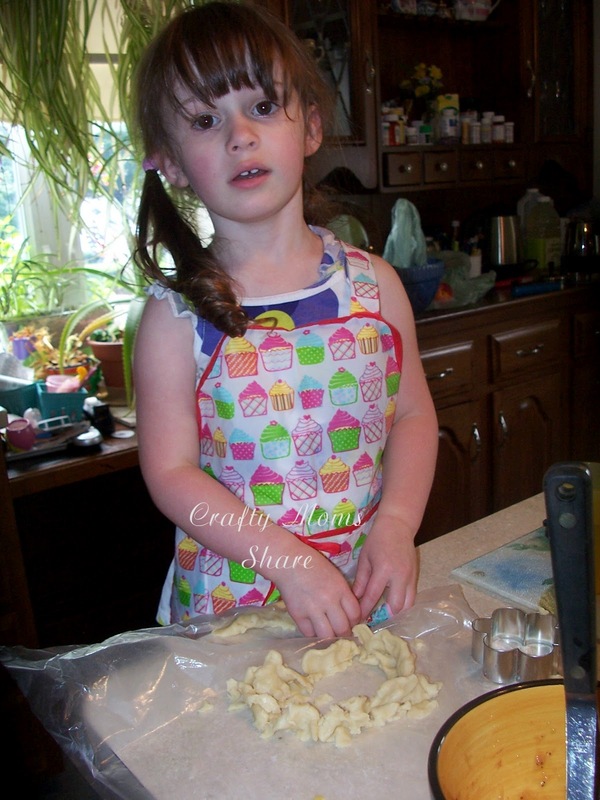 Please stop by to share your child-oriented posts and to be inspired by what others share! So our plans for this past week were cancelled. Hazel had been so excited to go to the Cape since my sister who lives in North Carolina was there this week, but we didn't have a bed to sleep in and the two-hour trip each way (and more with Boston traffic) would be too much for one day with a 3-year-old. So to keep her from being upset I planned some fun days for us. 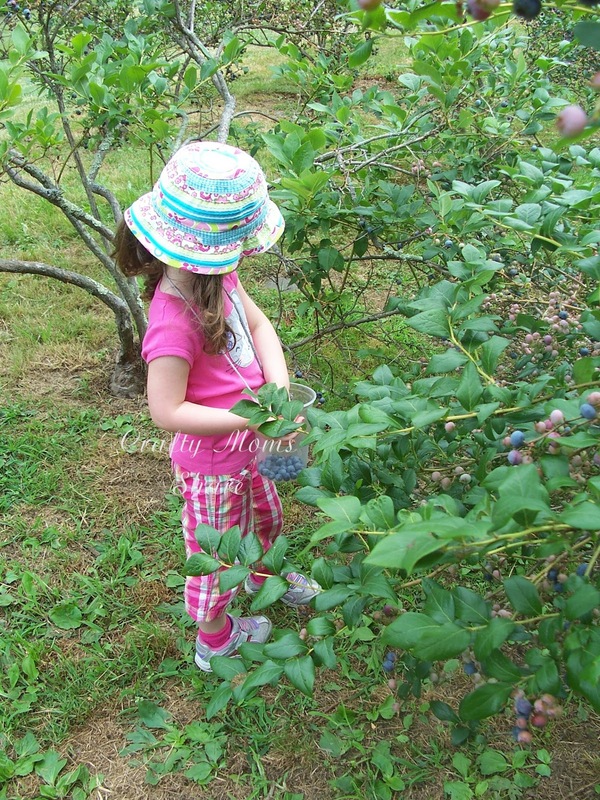 On Thursday we planned to go blueberry picking. The weather forecast was not cooperating, but we tried to chance it. 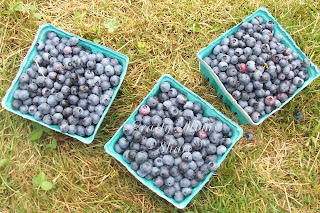 I called an organic farm a friend had told me about but they had all of their pick your own blueberries on hold until next week, so I googled and found this family owned home that opens up their blueberry grove to be picked if you have an appointment. So I made an appointment for early in the morning hoping we would beat the rain. We drove up to these nice couple's house. She had warned me not to get out of the car until they came out since they have guard dogs. They also have free-range chickens which Hazel loved seeing and hearing. 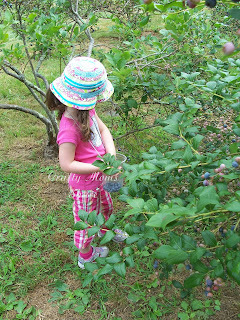 They had a beautiful grove of many blueberry bushes. Hazel had so much fun we picked an extra pint! Our plan was to make blueberry jam so we would have it for Christmas gifts. 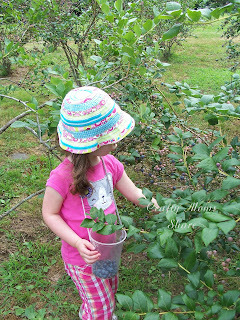 Then we talked about blueberry pie and blueberry muffins and of course eating the blueberries on the way home and bringing some to Nonni since Hazel played at her house the next day. 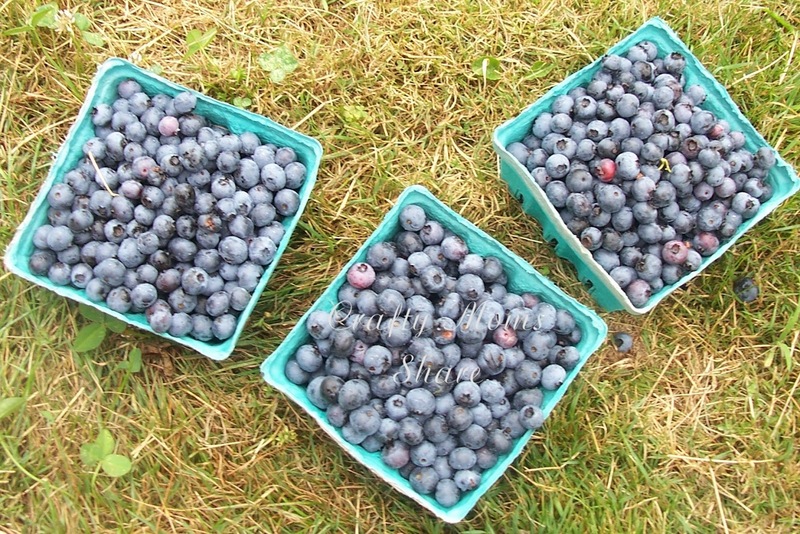 So we picked three quarts and one pint of blueberries. It did rain a bit on us, but it was only sprinkles so we stayed picking. On our way home we stopped at the store for a pre-made pie crust. 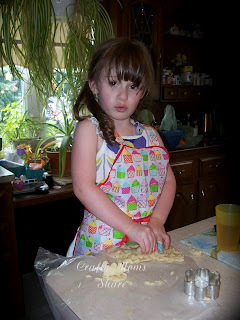 I figured with all the cooking we had planned we didn't need to make the pie crust as well. (This was the night we made the pancit as well.) We got home and had a quick lunch and then got to work. The first thing we did was the pies. 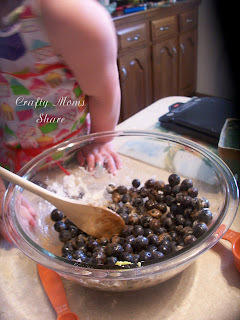 Hazel started mixing the filling. 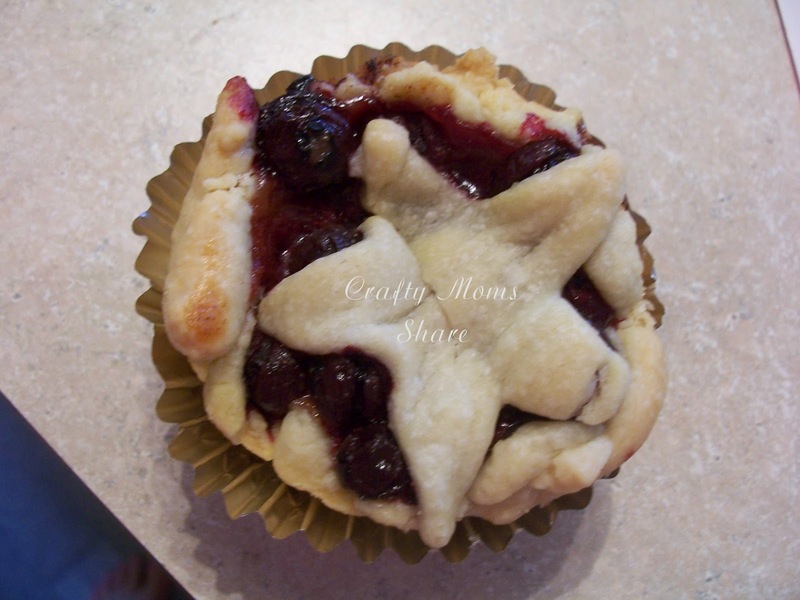 I decided not to make a big pie, but mini pies so we would not use all of our extra blueberries. (The jam recipe called for 5 pints, which is 2.5 quarts.) A full pie calls for a pint of blueberries and we still wanted some to eat and some for muffins. 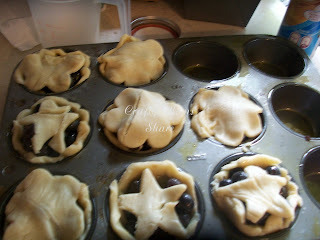 I went searching for mini pie recipes and then realized I would need mini pie pans. However, I found this recipe that used a muffin pan! I combined the filling recipe with my traditional one from Better Homes & Garden Cookbook. We used 2 cups of blueberries, 1/4 cup of sugar, 1 tablespoon of flour, 1/2 teaspoon of cinnamon, a dash of nutmeg, a bit of lemon zest and mixed them all together and let them sit. Then our next challenge was to find something to cut a four-inch circle. I found a lid to something that was four inches in diameter and it worked. Then we used some cookie cutters for the pie tops. I would change the recipe and use foil muffin liners next time. These were horrible to get out of the pan even with plenty of cooking spray. 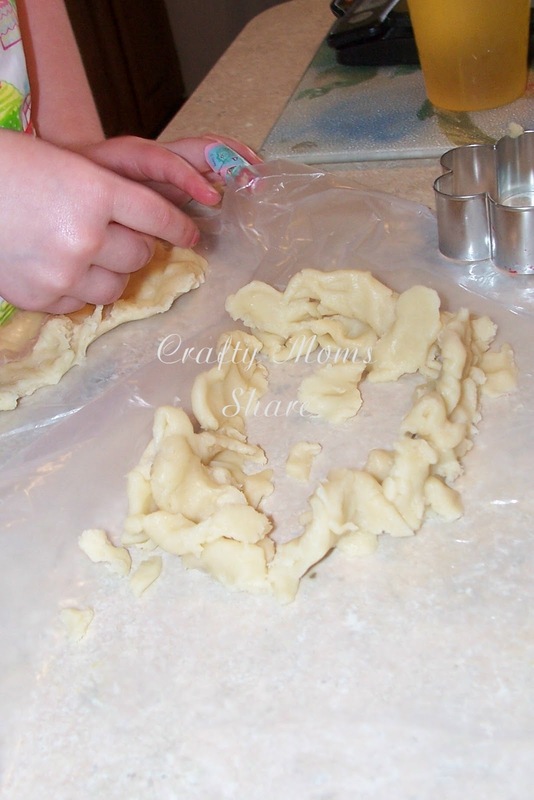 While the blueberry pies were in the oven, Hazel had the best time playing with the scraps of pie crust. She made a house. She decided not to put a roof on it. Then she put a mirror and a person in her house. Can you see the person? It is the bump in the middle. The mirror is the flattish piece against the far edge. Then the pies were done. Like I said they were not easy to get out, so they were not all pretty. This one however came out perfectly! All right this is getting a bit long so you will have to wait until later in the week for our blueberry jam and blueberry muffins. 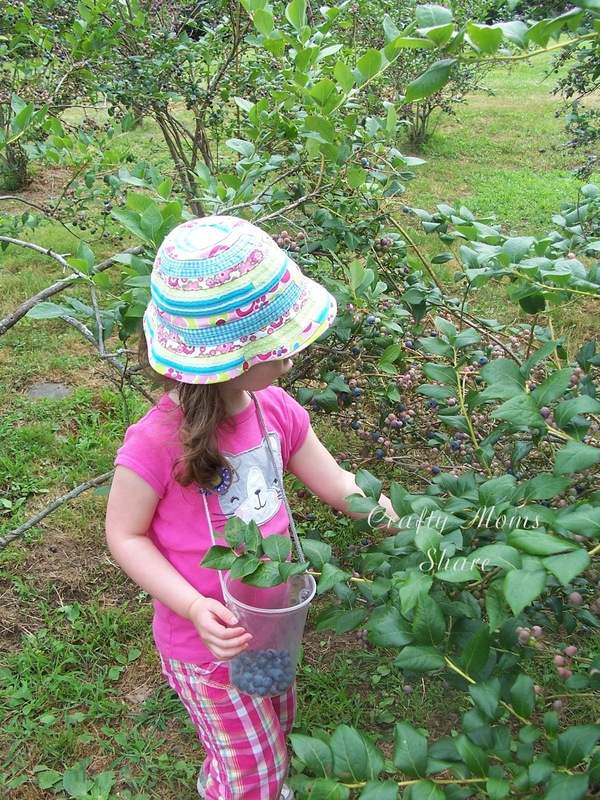 Have you done anything special with blueberries this summer?